It is my absolute pleasure to announce that our very own Nidhal Guessoum has a new book out: Islam's Quantum Question - Reconciling Muslim Tradition and Modern Science. It will be available in US on Amazon this coming Tuesday (Jan 18). Congratulations Nidhal!! When I first found out about Nidhal's book, I was sure that it was going to be good. He has been providing some sane analyses on Irtiqa for a year now (see his weekly posts here). So I was delighted that my hunch was right. I have read his book now and I've found it be an excellent read and highly informative. So couple of quick thoughts here. There are very few good books out there that tackle the issue of Islam and science in a rational way. Often we find apologetic writings that grossly misunderstand science and end up doing a disservice to both Islam and science. Then we have books that address the issues of science & religion, but without a deeper understanding of religion. It is very rare (and I'm quite familiar with the terrain) where the writer takes both religion and science equally seriously. Nidhal's book is in this rare category. This does not mean that I agree with all his conclusions - but the differences are more at philosophical level rather than on misunderstood science or misrepresented religion. What I liked best about the book is that even when Nidhal completely disagrees with someone - and there are many in the book with whom he disagrees with - he still manages to present their ideas fairly, clearly, and with respect. Nidhal's book starts with Islamic theology, addressing the notion of Allah/God in Islam and the concept of knowledge in the Qur'an. This lays the foundation for the rest of the book, and he proceeds to evaluate and often criticize - quite appropriately - proponents of "Islamic Science" (such as Nasr and Sardar) and those who claim evidence for modern science in the Qur'an (such as Maurice Bucaille). 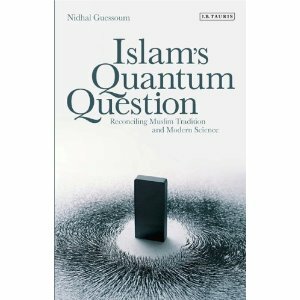 If you are not familiar with the literature on this, Islam's Quantum Question would be a fantastic resource. The second part of the book addresses Islam and some issues of contemporary science. As expected, two big areas of discussion here are modern cosmology and biological evolution. He again presents the thinking of various Muslim scholars on the topic, and then present his own thoughtful analysis. So if you are looking for an example of how a Muslim scientist (an astrophysicist in this particular case) might reconcile modern scientific discoveries with his own faith and the Qur'an, then this is the book for you. Even if you disagree with some parts, you will still end up learning a lot. a) What motivated Nidhal to write this book? b) Who is the intended audience? c) Since writing and publishing a book takes a long time, does he have any comments in retrospect? d) What was his experience of getting the book published? e) And, if he were to give one advice to an aspiring Muslim scientist today, what would that be? Once you start reading his book, you can send more questions about the contents, and we can perhaps have a good discussion here on Irtiqa. Published by I.B. Tauris, congratulations. Ingenious cover. Any chance of posting an extract, say the first chapter? I'll ask the publisher how much they'll allow me to post; I personally would be happy to provide the introductory chapter or at least a good chunk of it. Oh, and I am told the book is available in Istanbul, and also in Pakistan (through the Liberty bookstores). And it's been available on Amazon-UK for 2 months now. Can't wait to read it. I've just placed the order at Amazon. Must agaree with emre -- fantastic cover. Look forward to everyone's comments and discussion about the book (later). Any plans on releasing an audio version of the book? Akbar: Amazon (US) is selling the book for $26.49 plus shipping, Amazon-UK sells it for 14.44 pounds (about $23) plus shipping, but if you want a discount, IB Tauris has given me a code that reduces the price to 11.89 pounds plus shipping (2.95 in the UK, 3.50 in Europe, 6.50 for the rest of the world). Do the calculations and see which way you want to go; if you (or anyone) choose IB Tauris, email me (nguessoum@aus.edu), and I'll give you the code for ordering on their website. I don't normally bother about price for good stuff. I was just kidding about the discount :-)"
What I liked most about the book is the breadth and depth- I suspect it will become a classic reference on the topic of Islam and Science. 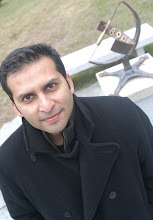 However, the proposed method for reconciling the Quran with Science is not different from methods used by the Ijaz theory he criticizes in the book.